Sterilization | J.D. "Bo" Westmoreland, D.D.S. Sterilization is an important concern for patients and dentists. At Dr. Westmoreland’s office, each member of our team is trained on the latest sterilization methods to ensure that you are given the safest and highest-quality dental care available. 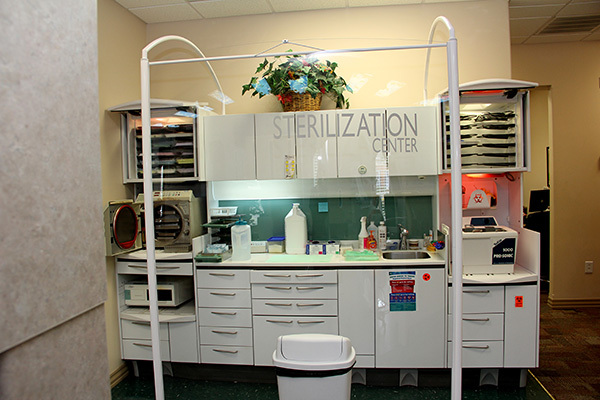 Dr. Westmoreland has placed the sterilization facility in plain view for all our patients to see. All instruments and surfaces in each operatory are disinfected or disposed of after each patient. We have chosen to use a separate water source not connected to city water to perform procedures, which is disinfected with each refill. We want you to rest assured protecting your health is foremost in our minds.